It was with a mixture of fear and trepidation that I boarded American Airlines flight 55 from Manchester to Chicago. I had never travelled abroad on my own before and I had never been to America. I passed the eight-hour flight chatting to Ollie, a second-year medical student at Keele University who told me he was visiting his girlfriend in Tennessee. Tennessee? How things have changed. The furthest away any girlfriend of mine had ever lived was Tunstall. Stepping off the plane at Chicago O’Hare was a daunting experience. I had just over an hour to collect my luggage and catch a connecting flight to Indianapolis. Of course, I hadn’t realised that O’Hare is the fourth busiest airport in the world and handles more than 66 million passengers each year. The sheer size of it was what hit me – something which would be a recurring theme during my time in the States. As I arrived at immigration a stern-looking bloke who was the spit of Poncherello out of CHiPs! (how are you on your Eighties TV trivia?) asked me whether my visit to the U.S. was for business or pleasure. “And what’s your pleasure?” he asked, raising a quizzical eyebrow. “Playing Dungeons & Dragons and Call of Cthulhu,” I replied, with utter sincerity. Nothing quite ends a conversation like telling someone you’re attending a games convention. It was sod’s law that my plane to Indy would be delayed but nothing could diminish my enthusiasm. As chat-up lines go, it was a new one on me. “I don’t know why but they gave me two,” she added – motioning inside a McDonald’s paper bag. Well it would have been rude to refuse and for the next hour and a half I chatted to Pam – a 59-year-old psychologist. She was so friendly and so interested in everything from the royal family and the Titanic to the Olympics that I actually enjoyed being delayed. By the time we boarded the plane we had swapped business cards and she had invited me and my family to her farm in Nebraska where she and her husband breed horses. That has certainly never happened to me while waiting for a PMT bus up Hanley. Take, for example, Herschel – my 70-year-old taxi driver. He brought me up to speed on the trials and tribulations of the Indianapolis Colts American Football team and gave me the heads-up on their new quarterback. 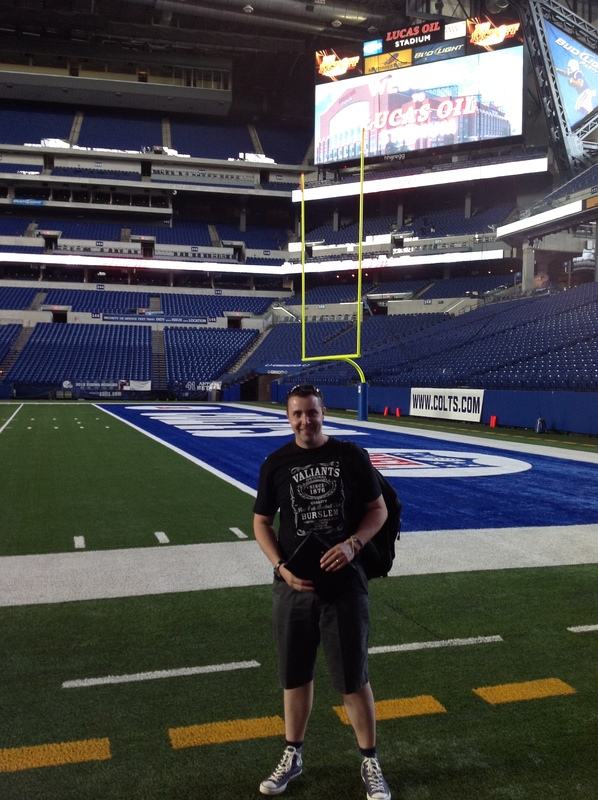 This was to come in handy the next day when I toured the impressive Lucas Oil Stadium – the 63,000 seater home of the Colts which comes complete with a retractable roof and artificial turf. I learned that the Colts had only won two games last year and their fans had endured a torrid time. As a Vale fan I could empathise and I adopted the Colts there and then. That is where any similarities between the Hoosier state’s finest and the Valiants ended, however. In light of their terrible season, the Colts were given the first NFL ‘draft’ pick this year – allowing them to choose from the cream of the crop of young players coming out of colleges and universities. As a result, they picked up Andrew Luck – the best young quarter back in the country – for nowt, on account of how bad they were last season. It’s the equivalent of the worst team in the Premier League being given first dibs on the best teenage footballer in England – irrespective of how much money Manchester City or Chelsea wave in his direction. Can you imagine? Having ticked off a top-flight football stadium, a visit to a genuine diner was next on my list. I finally settled for Johnny Rockets and enjoyed chilli beef sandwiches and a strawberry milkshake at the bar while throwing money into my own personal five cent jukebox. Eat your heart out, Fonzie. It was while walking around Indy that I realised that everything in the U.S. is BIG – from the blocks and the skyscrapers to the vehicles. I was told that Indianapolis is a relatively modest, mid-western U.S. city, so Lord only knows what the really big ones are like. Then there are the people. We think we have an obesity problem over here but I can tell you it is nothing compared to the epidemic America is facing. I was genuinely gobsmacked at the sheer girth of some of the folks waddling down the street and how many of the people were grossly overweight. It made me think long and hard about portion-sizes and the kinds of food I shovel down. Not that I had much time to eat. I had booked myself in for four solid days at Gen Con – the world’s largest gaming convention – showcasing tabletop games, board games, card and computer games. Yours truly and 40,000-plus other geeks met authors, game-designers and artists, play-tested new games and took part in competitions. I actually won the blue riband event – the Cthulhu Masters tournament – a horror roleplaying game based on the writings of American author H.P. Lovecraft. It was a special moment and the perfect end to my first Gen Con Indy. I was taking home a trophy which had never before left the U.S.
Yours truly being presented with the Cthulhu Masters brain case trophy at Gen Con 2012. When I arrived at customs at Indianapolis airport I wondered how I would explain the large, heavy rubber-plastic brain I was carrying in my hand luggage to the nice men with guns. “It’s my trophy for winning the Cthulhu Masters tournament at Gen Con,” I replied, nervously. The customs man gingerly removed the brain case from my rucksack. “Joe, come look at this!” he shouted, beckoning his buddy over. “I know,” I said, with a very relieved smile. Believe it or not there was a time when people in the UK could choose whether or not they wanted to watch the Olympic Games. It was a more innocent age when not being interested in handball, beach volleyball and synchronised diving wasn’t punishable by incarceration in the Tower of London. It was a time when seeing Olympic athletes perform on telly in glorious colour was a relative novelty and BBC employees had the freedom to criticise stuff as they saw fit. It was a period when we weren’t brow-beaten into repeating the mantra that sports we’ve never heard of are all wonderful and exciting just because it has almost bankrupt the nation to stage an Olympics. That decade was the 1980s when colour TVs which were becoming a fixture in most homes turned some British Olympians into household names. The Moscow summer Olympics of 1980 was the games that made baldness cool as swimmer Duncan Goodhew scooped gold in the 100m breaststroke and bronze in the 4x100m medley relay. At the same games, which was boycotted by many countries including the U.S., Japan, China and West Germany because of the Soviet Union’s invasion of Afghanistan, Scottish sprinter Allan Wells won gold in the 100 metres in a photo finish. He was pipped to silver in the 200m by just 0.2 seconds. 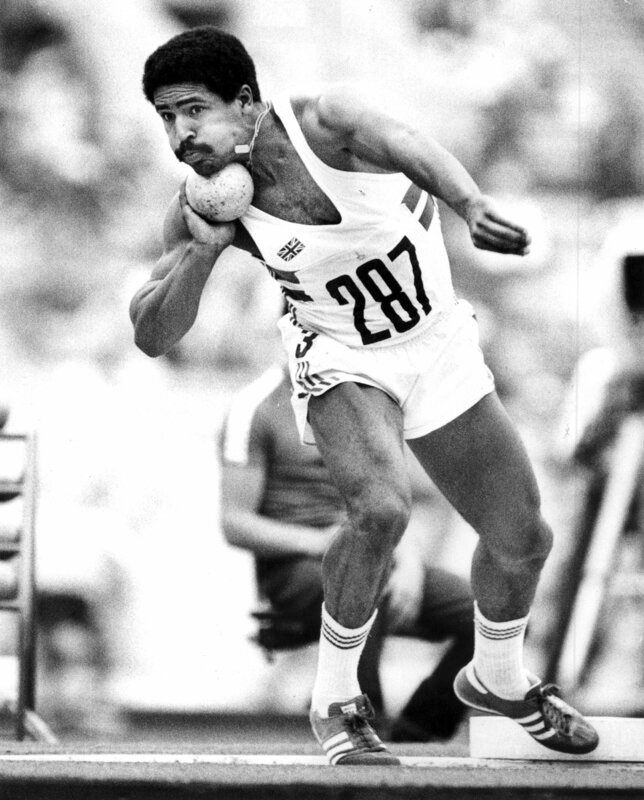 It was in Moscow that decathlete Daley Thompson announced his arrival on the world stage by taking top spot on the podium – a feat he then repeated four years later in Los Angeles. The 1980 games saw current London 2012 supremo Lord Sebastian Coe, beaten into second place by his great rival Steve Ovett in the 800 metres – his speciality. However, Seb hit back in the 1500m race to take gold, while Ovett had to settle for bronze. Coe replicated his achievements over both distances at the next Olympics in LA. Those games in the City of Angels marked another golden period for British athletics when Tyneside’s Steve Cram – the ‘Jarrow Arrow’ – completed a one, two, three for us when he nabbed the silver in that infamous 1500 metres. It was a race which was so thrilling that even I, a 12-year-old asthmatic and the laughing stock of Holden Lane High’s cross country course, was enthralled. That year also saw Tessa Sanderson become the first black British woman win gold in the javelin. She went on to represent Britain at no less than six Olympics. Meanwhile, her close rival Fatima Whitbread, whose personal story of triumph over adversity was as inspirational a tale as you could hear in sport, won hearts and minds when she scooped bronze at LA and followed this up with a silver medal four years later in Seoul. 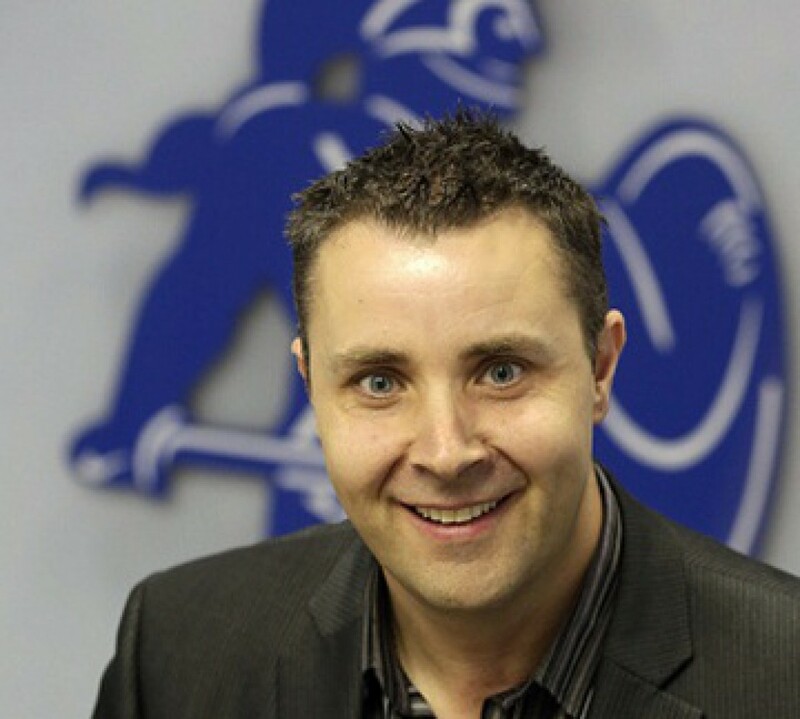 Hockey forward Sean Kerly sealed a bronze medal for the GB men’s team with his winner against Australia in the Los Angeles games and went on to be the Aussie’s bogeyman again in 1988 when he scored a hat-trick against them in the semi-final. Believe it or not, 1984 was the year that a young Steve Redgrave won the first of his five Olympic gold medals for rowing. Little did we know back then that he would go on to become Britain’s greatest ever Olympian. Swimmer Adrian Moorhouse had been expected to win gold in LA in the breaststroke but finished a disappointing fourth. Happily he made up for it four years later by winning gold in the 100m race. My final Eighties Olympic household name will be no stranger to Sentinel readers. Former policeman and Cobridge newsagent Imran Sherwani scored two goals and set up the third in Team GB’s demolition of West Germany in the final at Seoul. 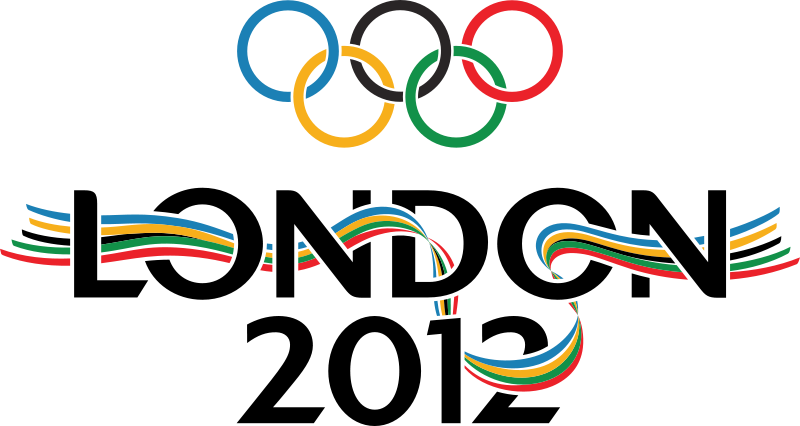 All in all the Eighties was a great Olympic decade for Britain – before the time when the games themselves became the huge corporate monster that they are today. I was never very sporty. In fact, my only moment of glory was winning the wheelbarrow race during a school sports day when I was seven. And, to be fair, most of the credit for that narrow victory has to go to the hands and arms of my best friend Glyn Shelley. At secondary school I was always last pick for football – either stuck in goal where there was no running about to be done or lurking about in my favourite position of striker (AKA goal-poacher). In my head I was Kenny Dalglish, pouncing on a through ball from Graeme Souness, turning on a sixpence and lashing the ball home. In reality, I occasionally stuck out a leg, got lucky and claimed a soft goal from eight yards out. Meanwhile, my classmates bemoaned my lack of effort and mobility, questioned my sense of fair play and wittered on about the off-side rule. The truth is the fat lad with asthma just didn’t want to have to use his Ventolin inhaler more than twice in PE. But if I was useless at football, I took sporting incompetence to even greater heights on the cross country course. To say I dreaded this weekly chore would be an understatement. If memory serves me correctly, our county ‘athletes’ could run the course in under 20 minutes. I shambled round in about 45 – leaving me just enough time in the hour-long session to get changed out of and back into my school uniform. I would, of course, comically run at the start and end of the course to give the impression that I gave a monkey’s. My mates Richie and Rob would always walk part of the course with me, thus undermining any chance they had of finishing in a respectable time. But that’s what mates are for, isn’t it? My PE teacher, Mr Gilson, would simply roll his eyes as I trotted back through the school gates and mutter under his breath, presumably questioning the point of waiting to record my umpteenth last place. Amazingly, Mr Gilson is still doing his bit to nurture sporting talent in Stoke-on-Trent two decades later, but he now works as a sports coach and mentor at the hugely successful St Peter’s School in Penkhull. However, rather than wasting his time with no-hopers like me, he is now overseeing rising stars such as teenage England cricketer Danielle Wyatt and cycling sensation Kian Emadi – one of number of Potteries prospects hoping to secure a place with Team GB. Believe it or not, The Sentinel’s circulation area has more than its fair share of Olympic hopefuls to shout about as London 2012 approaches. Aside from Kian, we have sprint siblings Alex and Ashlee Nelson, pole-vaulters Steven Lewis and Kate Dennison, sharp-shooter Glenn Eldershaw, rower Anna Bebington, cyclist Shanaze Reade and triple-jumper Ben Williams. And that’s just off the top of my head. So when Lord Coe, or Seb as he likes to be called, comes to the Potteries in April as the guest of honour for the City of Stoke-on-Trent Sports Awards, my guess is he will enjoy the trip immensely. Having the man who is heading up the UK’s Olympic plans on our turf is a fantastic endorsement for the city’s event, which has now been running for 35 years. Like many others, I’ve been a cynic. I’ve asked just what an Olympic Games for London actually means for the rest of us. I’ve wondered what the benefits are of an event that is costing the taxpayer countless hundreds of millions of pounds – other than helping to regenerate run-down parts of the capital. And the conclusion I’ve come to is that it is up to us to make the most of the Olympics. We can sit around bemoaning the fact that the event is truly London-centric and will have no tangible benefits for the rest of us. Or we can get in on the act. Local companies can tender for contracts and also help to fund our Team GB hopefuls, who are wonderful ambassadors for the region. They should be touring schools and inspiring future generations to chase their dreams. Why? Because sport – and keeping fit – matters in a city saddled with a chronic obesity crisis and where too many people have low aspirations. It’s one of the few mediums that can bring all ages together behind positive goals and genuinely inspire people to better themselves.